An Autumn Adventure for Students, Parents and Teachers! At Cotant's Farm Market & Greenhouse, we love providing school tours! As a working farm market and greenhouse, we have special attractions to make each visit memorable and special. Our goal is to provide a great learning experience for students, teachers and parents, as well as activities to work off energy and enjoy farm-fresh fun! School tours are available for preschool through first graders. 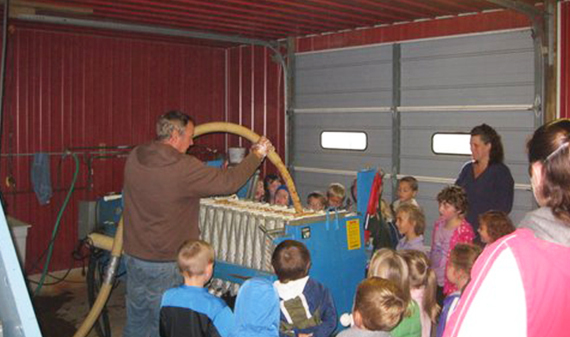 Students are given a cider pressing demonstration followed by a cider and donut break. 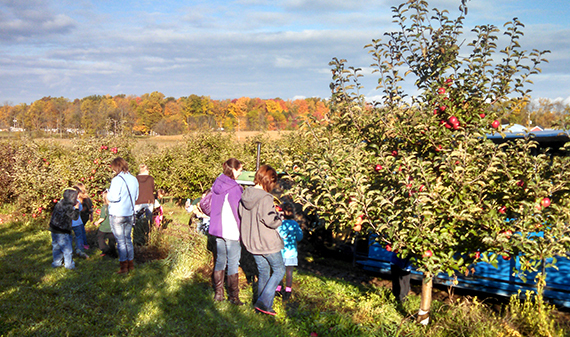 A wagon ride then takes the students through the apple orchard, stopping to allow the students to pick an apple. 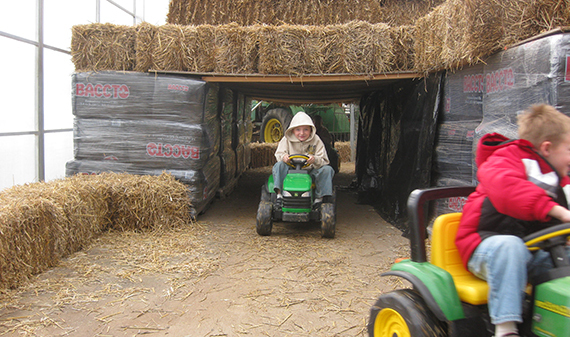 Then it’s back the the greenhouse to drive battery operated John Deere Tractors and play in and on Straw Mountain. Cotant's Farm Market, located one mile south of Hastings on M-37 Highway, is a family owned and operated business that set our roots four generations ago in 1947. We are greenhouse growers specializing in beautiful hanging baskets, flowering annuals, a wide range of perennials and vegetable plants. We take our growing expertise to the outdoors to provide our Farm Market with a variety of farm fresh fruits and vegetables.